Shower booths often become auxiliary plumbing elements in the bathrooms, being installed as an addition to the regular bathtubs. It’s a great option for people with busy schedules, who are not able to enjoy bubble baths or other bathing treatments regularly and leave this pleasure for the weekends only. In most cases these people are not willing to overpay for shower booths installation. And that’s reasonable. If having an expensive bathtub with a lot of additional functions is of a bigger importance for a person, then why would they overpay for a shower booth? However, there is always one common problem. Wanting to save, people are searching for affordable options. And it’s really easy to unknowingly purchase a poor-quality model due to a huge variety of models offered by today’s market. How possible is it to find both durable and inexpensive shower booth? It is possible, if you know little nuances. First, check if your shower booth is made of a good quality material. It’s very important to check the tub and its component parts. Sometimes it makes sense to purchase a more expensive model instead of the one less expensive you were planning to get but be sure in its durability. Check all the component parts. If you’d like to save, then you should go with the model having less additional functions. Search for affordable models made by famous manufacturers. Brand named companies will never offer poor quality models for reduces prices as they won’t sacrifice their reputation. The price of a shower booth depends on its height. If you don’t have very tall people in your family, you can choose a smaller model thus reducing the price significantly. Lower shower booth walls won’t let the water out anyway. They will simply look a little lower than standard. Your shower booth size also matters. You should consider all family members’ body build to get an ideally sized model. It’s always possible to get a miniature shower booth and fit it in a very narrow bathroom. It shouldn’t hurt your budget much. Be sure to never try saving on installation. 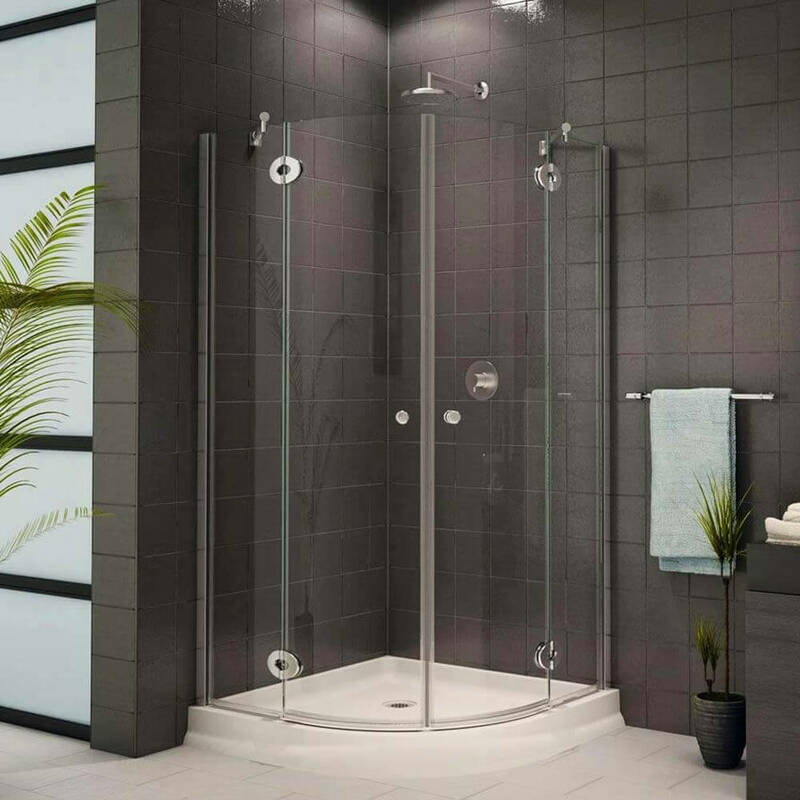 If you don’t have an experience of shower booths installation, but still try to do it yourself, you are at risk of wasting both your money and your time. What if it comes to reinstalling everything? It’s smarter to leave it for professionals, who will be able to install your shower booth within an hour. Miami Bathtubs Company are those professionals. Feel free to contact us at your earliest convenience to order your shower booth installation. We are waiting for you!